The key to maximizing grocery savings is to split your shopping amongst different stores, depending on who has the best sales that week and best prices for certain items. If there is one in your area, a key part of that strategy is shopping at discount grocery stores. 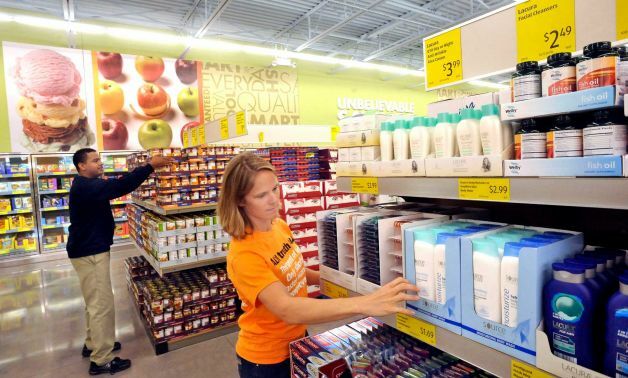 Discount grocery stores specialize in items that ordinary supermarkets can’t sell, such as items with damaged packaging or near the end of their shelf life. If you live in Northern Colorado, Esh’s Discount Grocery is on 34 west of Loveland. My favorite such store, for the simple fact of its name, is Bent & Dent near my sister’s house in central Pennsylvania. It doesn’t get more explicit about what you are going to find inside than that. Of course, discount grocery stores cover much more ground than the damaged goods store. Some food manufacturers will operate their own outlet stores that sell items at wholesale prices. The problem with discount stores is that you never know what you are going to find. A lot of people talk about the “thrill of the find” for finding great bargains on unexpected items. But I’m a firm believer that if you weren’t already planning on buying it, then it is not a great deal at all. Instead, you are spending more money. So how do you plan what you are going to buy there when you don’t know what will be in stock? The short answer: you don’t. Wait, didn’t I just say that unplanned buys are a waste of money? Yes, I did. But there is a difference between planning what to buy and planning what to buy at a specific location. What you will be doing instead is making a list as you would normally and make the discount store your first stop. If something on your list is there, buy it there. If it’s not on your list, don’t buy it. This way, you are saving money on items you were going to buy anyway, and not spending extra money on items you didn’t think you needed before you left your house. I hate wasting food. I hate it with a passion. Throwing away food that has gone bad is like throwing money directly in the trash. That’s why, while I buy non-perishable and frozen foods monthly, perishable items I buy weekly or even as needed. But a lot of food available at discount grocery stores is going to be near the end of its shelf life. If you’re not careful, you could be wasting money on items that will go bad before you use them. Always check the sell by date on items! When you pick up an item, ask yourself: will I use this before it expires? If the date is next week and you know that you will use up that amount in that time, go ahead. If it expires tomorrow, but plan on using it tonight, you are good to go. Some items can be frozen to extend their life. My wife and I go to the Bimbo Bakeries outlet to buy bread. We will buy an entire month’s worth of bread at a time and put it in the freezer. As we need another loaf, we will pull it out. Bread thaws in a couple hours, so a loaf pulled out in the morning is ready when I get home from work. Now I’m going to throw my advice on sell by dates right out the window with this next tip. Sometimes it will be okay to buy an item you won’t use before it expires and you can throw away the spoilage guilt free with something I call expiration arbitrage. Expiration arbitrage is the idea that if something is cheaper than the fraction you use would be at full price, you are saving money. This might not be the exact definition of arbitrage, but it’s close enough and I can’t think of a better name for it. Here’s a real life example from last week. I was at Esh’s and there was a package of wonton wrappers available for $0.49. At the local supermarket they are $3.99. For a package of 50, that works out to about eight cents each. If I bought the wrappers at Esh’s (which I did), and used at least 7 of them, I would be getting a better price than at the store. 7 is pretty easy; I make more pot stickers than that for dinner. If I were to only use ten before the rest go bad, I have still saved money over buying them at the supermarket. Do you shop at discount grocery stores? Are there any tips that I missed? Edward Antrobus is a food blogger, personal finance writer, ebook specialist, and construction worker. His mother's favorite saying is, "if you can read, you can cook." She firmly believes that making simple dishes is not much more difficult than reading the directions on a recipe. His goal is to take the mystery out of cooking and endow everyone with the basic skills needed to cook your own food and save a fortune by not having to dine out all the time. Great article Ed…..and some good tips. Wish we had some of these stores here where I live. Best we’ve got is a liquidation store but even those prices are starting to become more than some stores have on sale items. Buyer beware and know your prices are must have’s when you’re shopping places like that. And love that you included the expiration arbitrage….some great advice. Great tips! I like the expiration arbitrage example. This proves we can save much more, if we just use our heads before we spend money. When we shop wisely, even a few cents here and there all adds up to our piggy banks.